There is a lot to be said for living in Cape Town, most of which is unequivocally positive; the setting is stunning, the weather is perfect and the people are lovely. However, when it comes to sourcing Asian products, it can be described as trying at the best of times. Don’t get me wrong, things have improved dramatically in the last decade, but inconsistency is still the bane of the local Asian food market. Items that were readily available one year, are suddenly nonexistent the next – it can be very frustrating to say the least! Japanese goods, in particular, seem to fall victim to this fickle approach to supply; making it hard to replenish an ever diminishing pantry. So what do you do when you’ve finish your last bottle of store-bought Tonkatsu Sauce? If you’re me, you’d try to make your own of course! Now I would never bother making my own Tonkatsu Sauce if it was readily available to buy, but it isn’t, so I have to improvise. This recipe isn’t quite perfect, but it is a very passable approximation. If you can, however, source it locally, stop reading this recipe immediately. Go buy a bottle and count yourself lucky! 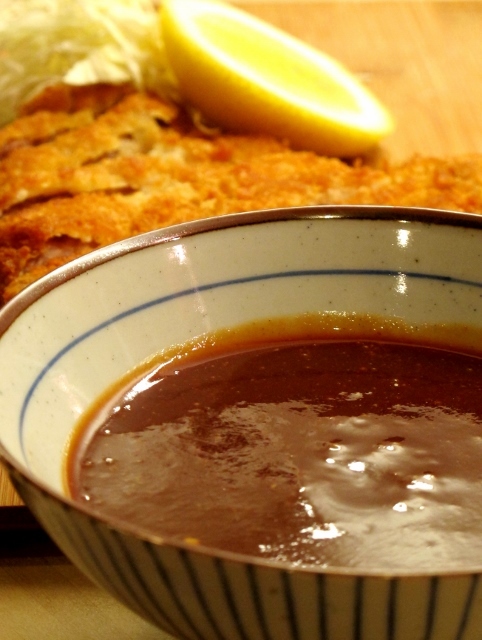 Note: Tonkatsu Sauce is a Japanese condiment that is traditionally served with Tonkatsu (Crumbed Pork Cutlet) or Chicken Katsu (Crumbed Chicken) with steamed rice and salad. It can also be used as a substitute for Okonomi Sauce for Okonomiyaki, if unavailable.